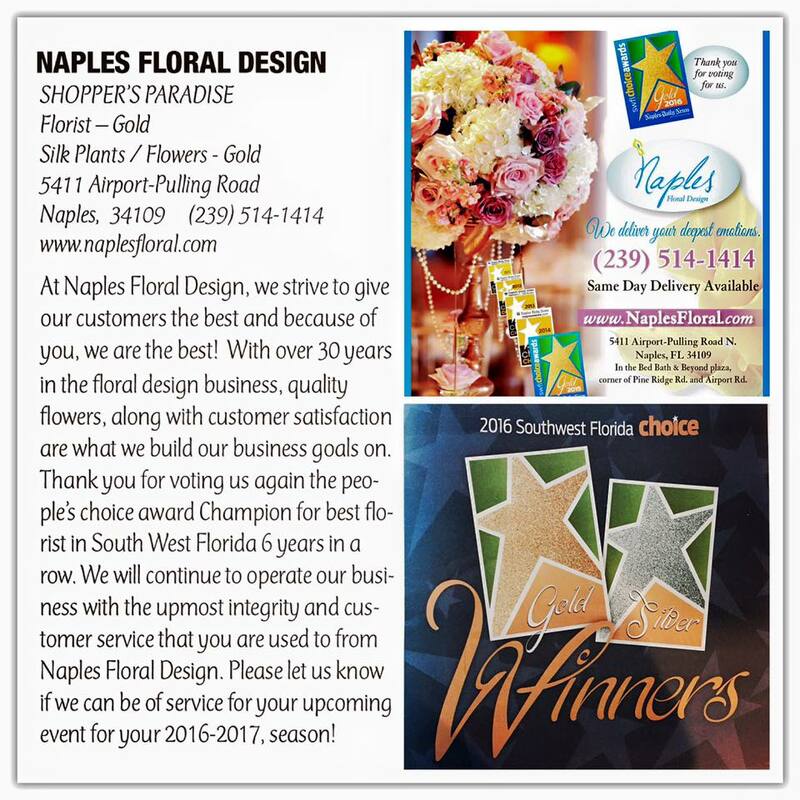 It is such an honor to recieve the people’s choice award for best florist in Southwest Florida 6 years in a row. Thank you for voting for us. We couldn’t do what what we do without great people like you.